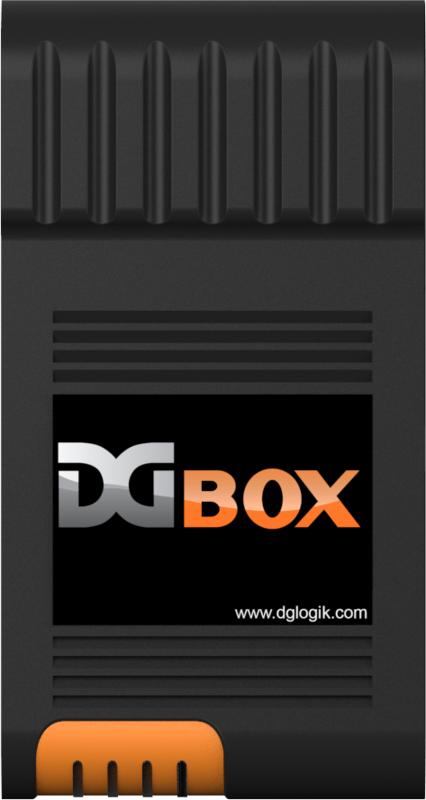 DGBox is a cost effective solution that enables creation and utilization of appliance applications consisting of Data Acquisition, Data Storage and Visualization. 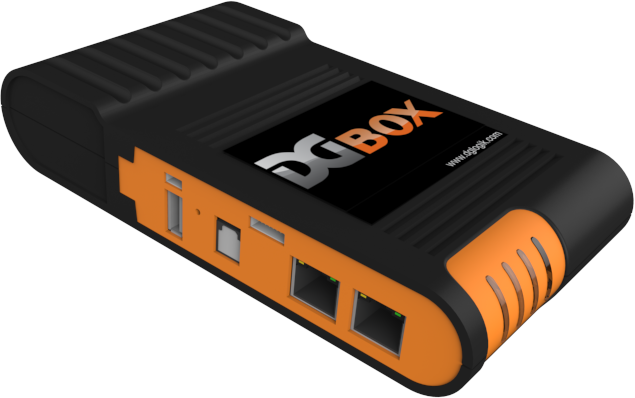 Utilizing DGBox, customers are able to take advantage of data point and visualization templates specific to the devices being monitored and/or controlled. The Appliance Platform drives repeatability and enables plug and play deployments for reduced engineering time and enhanced cost savings. VISUALIZATION – PRE-BUILT TEMPLATES, CUSTOMIZABLE INTERFACES, DGLUX INSIDE. Utilize the ever-expanding available library of pre-built templates for specific devices such as meters, thermostats, and other equipment to accelerate your deployment of an end to end solution. All templates include the visualization itself (built utilizing DGLux) which can run on any desktop or mobile platform, as well as the data point profile for the specific device. So all you have to do is plug DGBox in and discover the device. 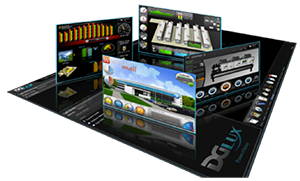 However if you need to define your own appliance application, you have full capability for bringing in data points from multiple devices and building out custom dashboards using the award-winning graphic tool – DGLux (which is embedded into DGBox). DATA ACQUISITION – SUPPORTED PROTOCOLS. Although this may vary per application based on the protocols being used to acquire the data and the poll rate, the recommended point capacity for each DGBox is 1000. Newly available on the DGBox is a feature called Dataflow. 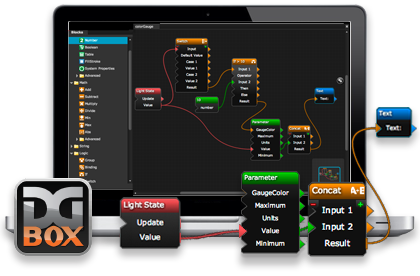 Now DGBox users have the ability to create logic sequences within our modern, visual programming User Interface. Connect and command all devices, objects and operations as “smart blocks” with inputs and outputs…without having to write any script! Learn more on Dataflow through our Wiki – Click Here! DATA STORAGE – ETSDB, EXPANDABLE. The data storage in DGBox is handled by an Embedded Time Series Database which is specifically designed and optimized for lightning fast read and write speeds of time series data. This specialized database allows for the ability to write over a thousand points per second and be able to retrieve thousands of points in nano-seconds. The amount of data stored on the DGBox is expandable through the external SD card or eSATA port so you can be sure that you will never run out of space for storing your trend data.